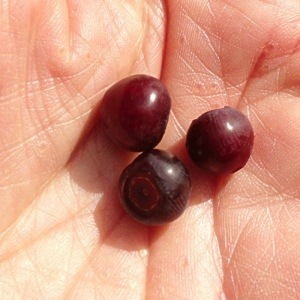 On our last day in Glacier Park we went to the Two Medicine area near East Glacier. 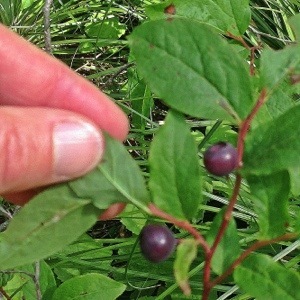 Along with a distant moose and gorgeous scenery I was happy to find lots of ripe wild huckleberries. 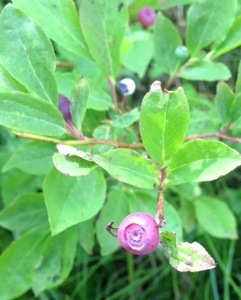 These tasty little berries are wild cousins of the blueberry and have a similar flavor. 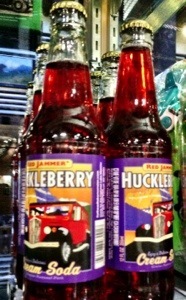 This flavor has been seized upon with great gusto by all the local gift shops.